GPS Module comes with a POT (Patch on Top) ceramic antenna which makes it a small and complete solution for enabling GPS navigation to your embedded devices and robots. It supports 66 Channels and external antenna input compatibility for maximum sensitivity. 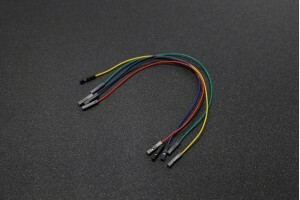 The module comes with a standard 2mm DIP pin headers which provide easy interface to your device. The module works on TTL Serial protocol which used with any microcontroller or PC. It can be directly plugged to USB and can be connected to software like Trimble studio. · Magnetic base active antenna with 3-meter wire length for vehicle rooftop installation. · Embedded applications which need to be aware of its location on earth.